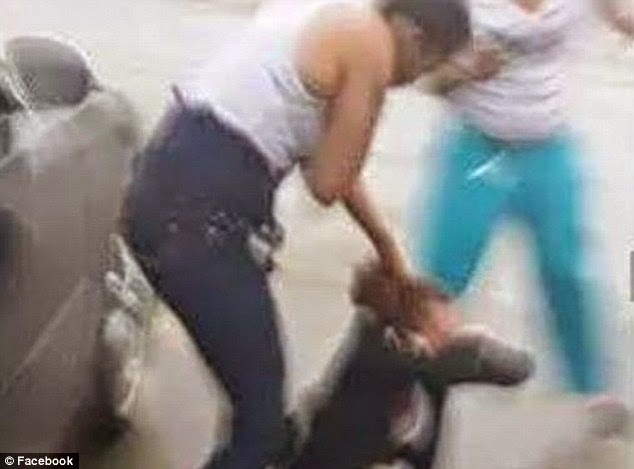 Cheyenne Fisher, the attacker in a shocking video posted online that showed her assaulting a 19-year-old girl, has spoken about the incident saying the victim stole her car and she was trying to get it back. She said she didn't really physically hurt her victim, "I was trying to put fear in her heart," the 21-year-old woman added. 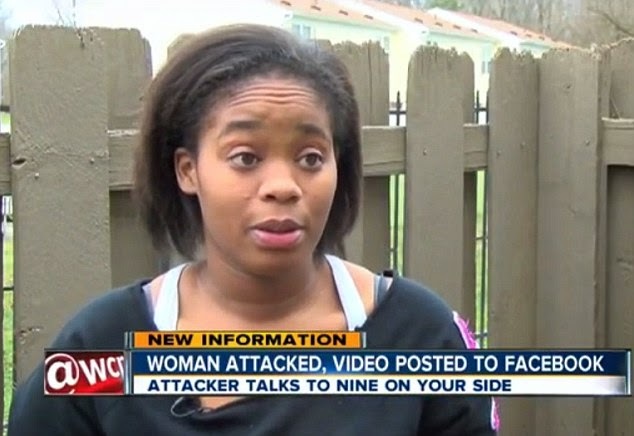 Cheyenne Fisher was filmed beating up an Ohio teen in a vicous attack outside a mall. After the video was released online and then reported by the victim, police put out a warrant for her arrest. The video of the Christmas Eve attack was uploaded to Facebook, showing a gang of six women assaulting Cheyanne Willis 19. 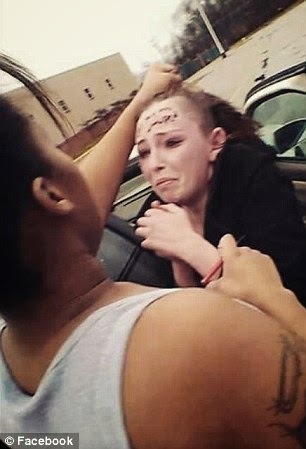 The victim's hair was cut, her head was slammed against the hood of a car and she had 'I got my a-- whopped' written on her forehead in eyeliner. 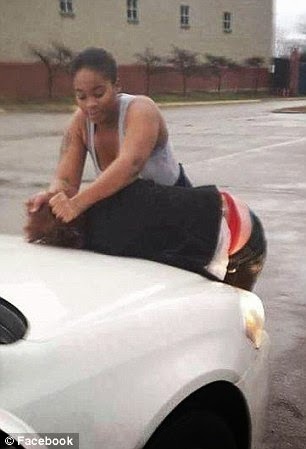 In a new interview, Fisher defends herself saying that Willis 'charged' at the group first in the suburban Cincinnati parking lot and that the subsequent fight 'was petty', Daily Mail reports. Fisher said she had loaned her car to Willis her Chevrolet Impala 'back and forth from work', but that Willis had not returned it for a month and was avoiding Fisher's texts. Fisher told WCPO, saying she was speaking out because the victim is lying. Below are scenes from the video that show the group beating up Willis, and slamming her head on a car. So far, no charges have been filed over the attack. 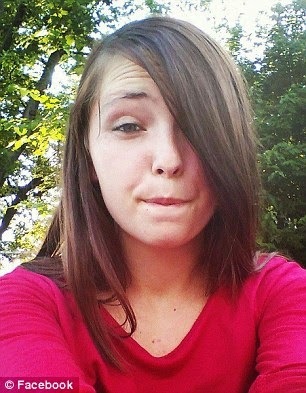 The victim, Cheyanne Willis has posted some pictures on Facebook to show the extent of the attack. 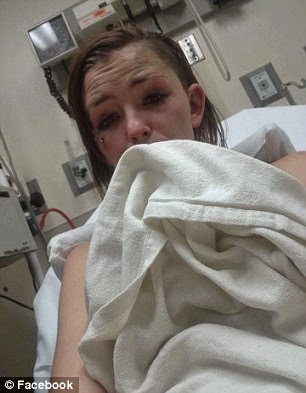 The first is a picture of her before the attack and below is with her head partially shaved while being treated for for a concussion afterwards.